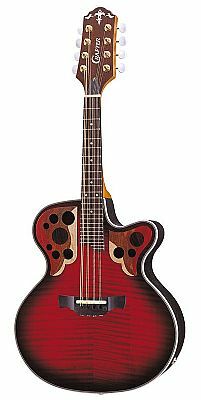 Crafter M85E/RS Electro-Mandolin - Tiger Maple Red Burst finish. Electro acoustic mandolin with active EQ. Complete with padded Crafter dedicated gig bag. This mandolin is very popular not just amongst mandolin plyers, but also guitar and bass players.